Ideas about numbers, magnitudes and frequencies shape and give texture to almost everything we feel, say, dream and do. 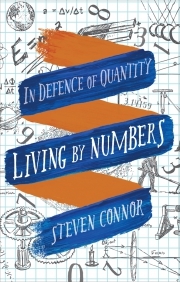 In Living by Numbers, Steven Connor explores the many ways in which we live in, and by, a world of numbers. Connor homes in on the unsuspected weirdness of the number one, the links between horror, counting and the uncountable, and the close associations of numbers and death. He considers the way we make sense of crowds, swarms, masses and multitudes, and demonstrates the work of calculation that is always present in poems, jokes, laughter and pleasure. He shows how we use numbers to adjust ourselves to chance and uncertainty, examines the pressure of numbers in the experience of music, explains how they exert their force in painting, and reveals the many different ways in which numbers and quantities have taken visual form in diagrams, charts and infographics. 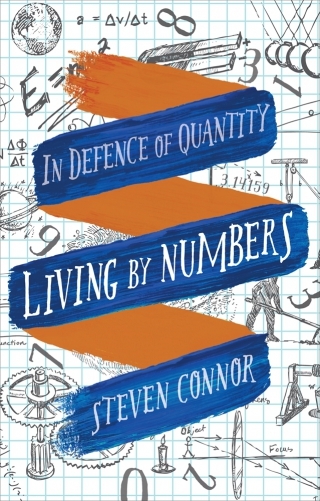 Against the lazy and conventional assumption that human life needs to be defended against the alien and malign power of numbers, this book illustrates how essential the feeling for numbers is in all aspects of contemporary existence, arguing that no creativity or invention is in fact possible without numbers. Living by Numbers opens up for the first time the richness, variety and subtlety of how we do things with numbers and, just as importantly, how they do things with us. Steven Connor is Grace 2 Professor of English at the University of Cambridge, and the author of many books including The Book of Skin (2003), Fly (2006), The Matter of Air: Science and the Art of the Ethereal (2010), A Philosophy of Sport (2011) and Beyond Words: Sobs, Hums, Stutters and Other Vocalizations (2014), all published by Reaktion Books.